An exciting trip to Ajanta and Ellora Caves in Aurangabad, listed as UNESCO World Heritage Sites. Apart from being a major tourist attraction, it gives a sneak peek into ancient history and heritage of India through its beautiful paintings, frescos, and carvings. 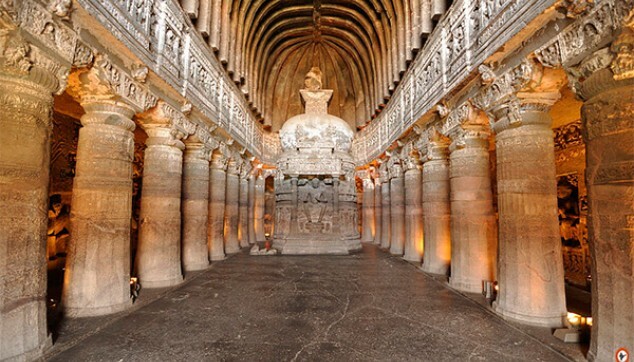 Experience the extraordinary appeal of Ajanta and Ellora Caves and enjoy the journey to the Indian art. At around 7 AM, you would be picked up from the hotel/airport in Pune and will be driven towards Aurangabad in an air-conditioned vehicle, which would be 240 Kms journey in around 5 hours. 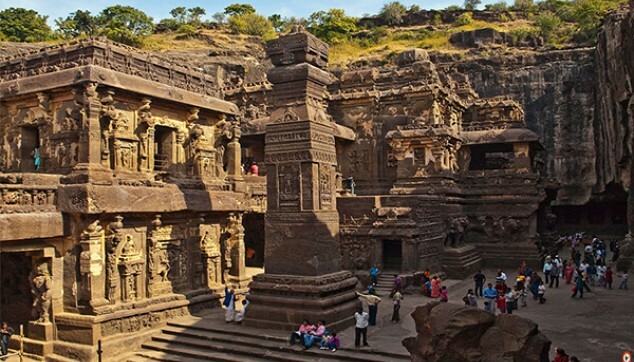 On arrival in Aurangabad, you will be taken for the sightseeing tour of Ellora caves. Ellora Caves are one of the largest rock-cut monastery temples and are a UNESCO World Heritage Site. It is famous for monuments of Jainism, Buddhism & Hinduism and the Kailasha Temple, the artwork of monolithic single rock excavation. It has 12 Buddhist caves, 5 Jain temples, and 17 Hindu temples. Later, you will be transferred to the hotel in Aurangabad for an overnight stay. 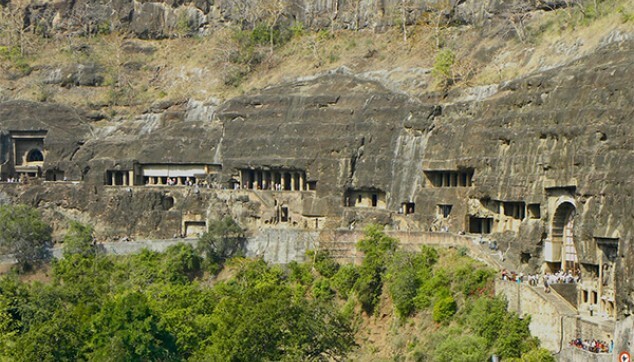 After breakfast, check out from the hotel and you will be driven towards Ajanta Caves in an air-conditioned vehicle. Ajanta Caves are one of the oldest UNESCO World Heritage Site and it is a set of 29 Buddhist caves beautifully treasured in the hills. There are beautiful paintings, carvings, and paintings, the best example of Indian Art. This UNESCO Heritage Site also has huge pillars, Stupas & ceilings with carvings that are beautiful to watch. You will find Buddhist philosophy & religious teachings of the Buddha depicted through paintings & sculptures. After the sightseeing, you will be drive to Pune and dropped at your hotel or airport in Pune. Ajanta Caves remain closed on every Monday, while Ellora Caves remain closed on every Tuesday.